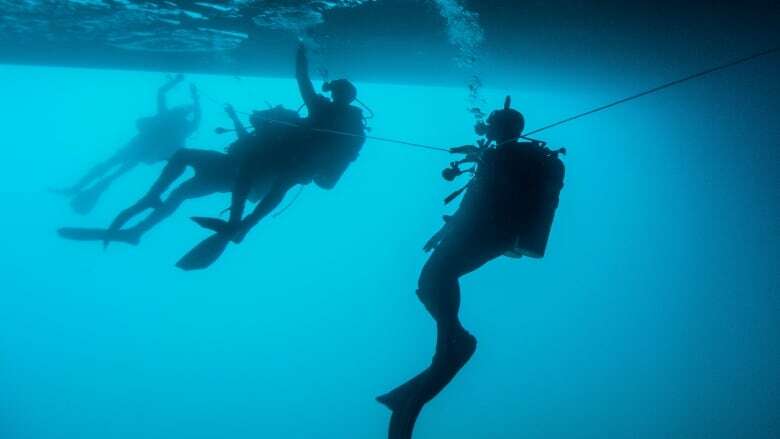 Canadian Forces divers from the Fleet Diving Unit (Atlantic) are in the Caribbean this month on an international training exercise. The exercise, which is called "Tradewinds," happens annually and more than 20 nations participate, including Jamaica, Grenada, St. Kitts & Nevis and Belize. The Canadian dive unit is offering training to 22 participants from various coast guard and navy dive teams from other countries. The course is being held in Jamaica's Discovery Bay. 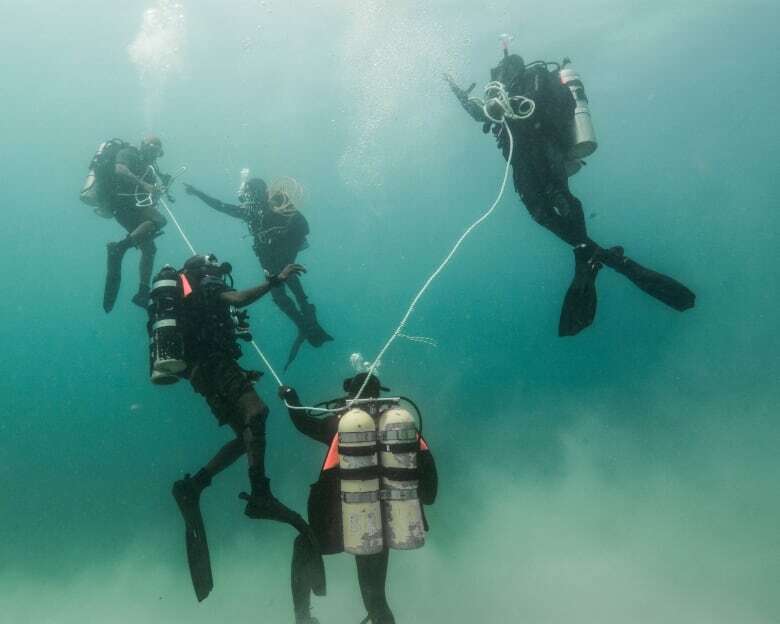 "Mainly the divers here, what they face, is a ship will come into port and they've got to be searched for drug caches that have been attached to them either on the way in or on the way out," said Lt. JR Gallant, the officer in charge of the 11-person dive team. "Any ship that comes into their harbour has to be searched before it leaves, and numerous times a year they find drug caches on them." 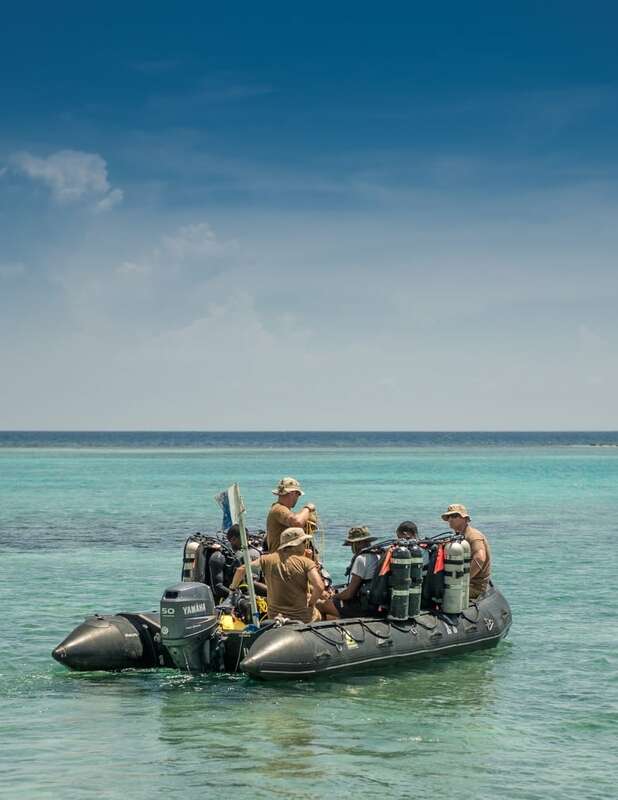 Gallant said all of the participants have civilian diving qualifications, but some participants told him their countries don't have any formal military dive courses so they see the exercise as a good opportunity. Most of the Canadian divers are based in Halifax, and Gallant said they are enjoying warmer conditions than they would see at home. "The diving down here has all been basically in shorts and T-shirts, where at home at minimum you're in a wetsuit, if not a dry suit depending on the time of year. Visibility down here, depending on where you're at, has been anywhere from 10 feet to 100 feet. So it's very different conditions," he said. The Tradewinds exercise has many other land and ship-based training exercises. The goal is to build relationships between the participating countries. "One of the biggest threats that we face is the illegal and illicit movement of drugs, guns, contraband, human trafficking, and that sort of thing," said Maj. Basil Jarrett of the Jamaica Defence Force. Jarrett noted that militaries often need to work together on defence and humanitarian missions. "The security challenges that we face here in Jamaica don't necessarily originate here. To get here, they cross borders. They come by air, they come by sea," he said. The exercise is led by the United States military, and is about exchanging "best practices" said Master Sgt. Katesha Washington of the United States Marine Forces South. "They have a unique set of challenges down here that you probably wouldn't be able to duplicate if something like this was held in America or in Canada." The Halifax-based HMCS Shawinigan is also participating in the Tradewinds exercise. The Shawinigan and the Fleet Diving Unit are expected to return to Halifax at the end of June.